Here is a great application for your baby ! 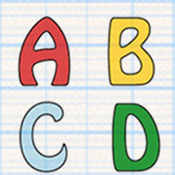 Let him/her play with your iPad while learning letters of the alphabet in several languages ! The language is set by default in "English" but you can change it by touching the flag icon on the bottom right corner of the app. - Drag and drop as many letters as you want : No limits ! - Change language by touching the flag icon.